Planes. Nothing is higher. 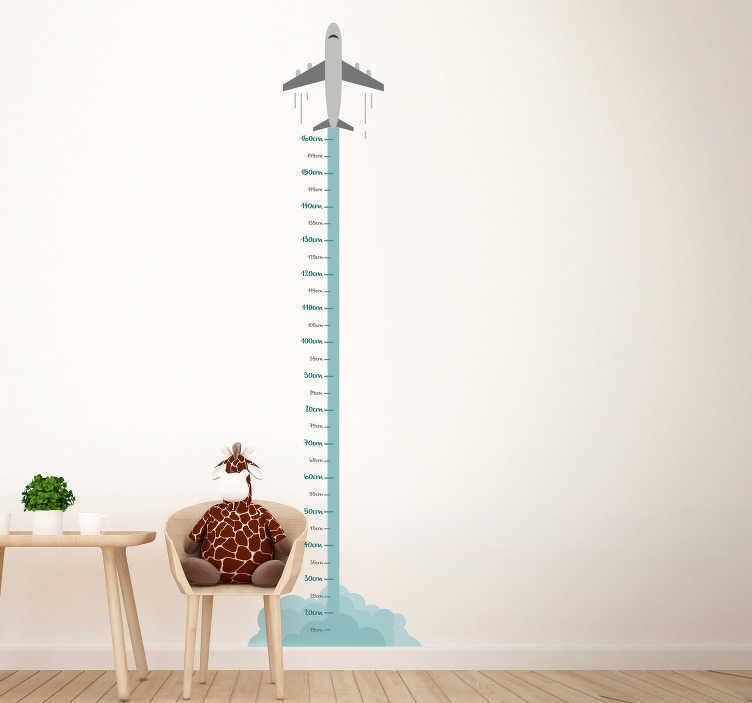 Nothing is more magnificent and nothing - in our opinion - is more apt for a height chart wall sticker! Tracking your child´s height is something that every parent does and something that brings them great pride and joy as they watch them grow from a toddler, to a child, to an adolescent! Ideal bedroom decor for every child who is growing rapidly in their life!